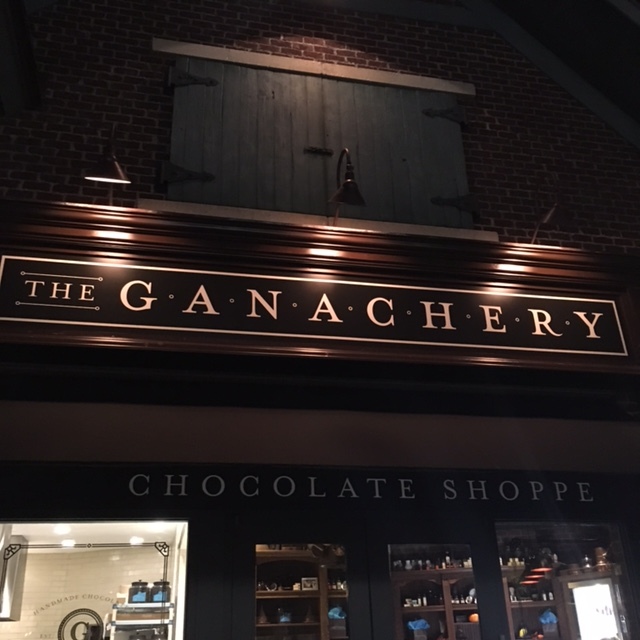 Ever since I heard of it’s opening in late 2015 I have been dying to get to Disney Springs’ The Ganachery. This is more than just a chocolate shop, it’s a decadent chocolate experience. The Ganachery is a small shop, but packed full of awesome. 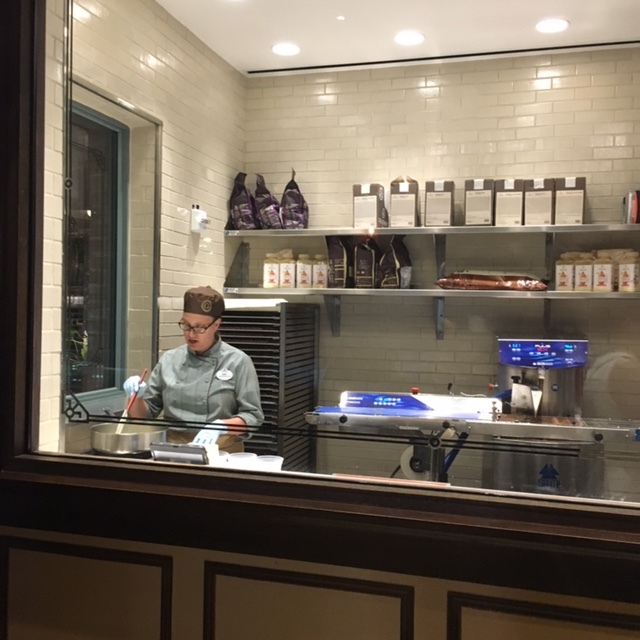 As soon as you enter you are able to see the chocolatiers creating magic in the kitchen through a giant show window, working on each of the 16 flavors offered here. Experienced employees wait behind the counter to help you narrow down your choices in chocolate. I decided to go with a box of 6 of the ganache collection, for a cost of $15. There are also boxes of nine for $21, boxes of twelve for $27, boxes of sixteen for $36 or individual pieces of ganache for $3 each. When I was there a few of the chocolate choices were: Chipotle Pepper, Pumpkin Spice Latte, Cinnamon Apple, Egyptian Sea Salt, Caramel, Passion Fruit, Raspberry, Gianduja (hazlenut), Milk Chocolate, Coconut, Vanilla, Peanut Butter and 65% Dark. Each bite of chocolate was more amazing than the last, but I think my favorite was the Egyptian sea salt! I can’t wait to go back to the Ganachery and try more flavors. Have you been to The Ganachery? What did you try and what did you think? We’d love to hear! This entry was posted in Disney Dining and tagged chocolate, chocolatier, Dessert, Disney Springs, ganache, ganachery by Jamie. Bookmark the permalink.